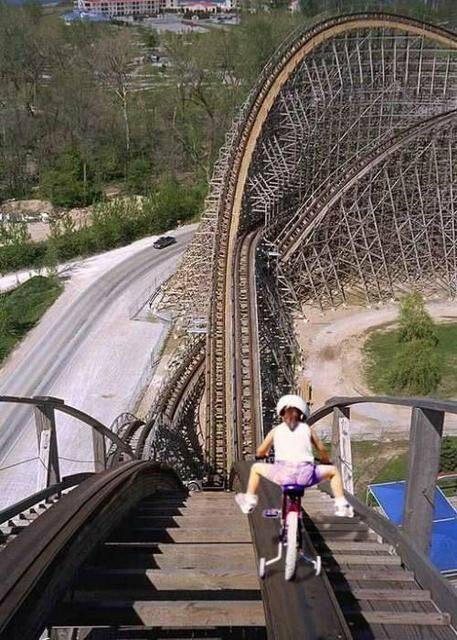 Claim: this is a photograph of a young biker on a roller-coaster. This image has been circulating online since 2005 (if not earlier). It took some time to find the original photo from 1995. The biker picture is obviously a photoshop job. Image credit: Joe Schwartz (joyrides.com), 1995. 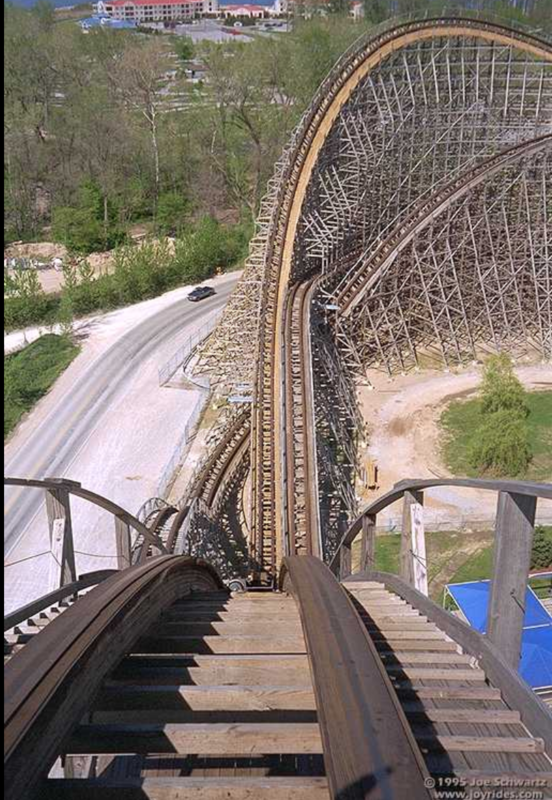 That is a photo of Mean Streak roller coaster in Cedar Point (Sandusky, Ohio, USA) . Source: Roller Coaster database. According to the database, the Mean Streak was removed in 2016.